B.M. Joshi and M.C. Chandorkar, “Effect of Machine Asymmetry on a Two-machine Direct Torque Controlled Induction Motor Drive”, conf. rec., European Power Electronics Conference (EPE) - ECCE Europe, 30 August-01 September 2011, Birmingham, UK. B.M. Joshi, D.C. Patel and M.C. Chandorkar, “Machine interactions in field oriented controlled multi-machine three phase induction motor drives”, conf. rec., IEEE Electric Machines and Drives Conference, IEMDC, 15-18 May 2011, Niagara Falls, Canada, pp. 342-347. B.M. Joshi and M.C. Chandorkar, “Time Discretization Issues in Induction Machine Model Solving for Real-time Applications ”, conf. rec., IEEE Electric Machines and Drives Conference, IEMDC, 15-18 May 2011, Niagara Falls, Canada, pp. 675-680. S.V. Iyer, M.N. Belur and M.C. Chandorkar, “Analysis and Mitigation of Voltage Offsets in Multi-inverter Microgrids”, in IEEE Trans. On Energy Conversion, March 2011, pp. 354-363. D.C. Patel, and M.C. Chandorkar, “On-line Load Test for Induction Machine Stator Inter-turn Fault Detection under Stator Electrical Asymmetries”, conf. rec., IEEE Industrial Electronics Society Annual Conference, IECON, 07-10 November 2010, Phoenix, Arizona, USA, pp.933-938. S.V. Iyer, M.N. Belur and M.C. Chandorkar, “A Generalized Computational Method to Determine Stability of a Multi-inverter Microgrid”, in IEEE Trans. on Power Electronics, September 2010, pp. 2420-2432. A.M. Kulkarni, K. Salunkhe, M.C. Chandorkar, S.P. Panda and N. Sankaranarayanan, “Waveform Relaxation based Iterative Real-time Playback Schemes for Testing of Wide-area Power System Controllers”, conf. rec., IEEE Power and Energy Society General Meeting, 25-29 July 2010, Minneapolis, USA. S.V. Iyer, M.N. Belur and M.C. Chandorkar, “Decentralized Control of a Line-interactive Uninterruptible Power Supply”, conf. rec., American Control Conference (ACC), 30 June – 3 July 2010, Baltimore, USA, pp. 3293-3298. D.C. Patel, R.R. Sawant and M.C. Chandorkar, “Three-Dimensional Flux Vector Modulation of Four-Leg Sine-Wave Output Inverters”, in IEEE Trans. on Industrial Electronics, April 2010, pp. 1217-1225. Y.S. Rao and M. C. Chandorkar, “Real-Time Electrical Load Emulator Using Optimal Feedback Control Technique”, in IEEE Trans. on Industrial Electronics, April 2010, pp. 1217-1225. S. Dambhare, S.A. Soman and M.C. Chandorkar, “Current Differential Protection of Transmission Line Using the Moving Window Averaging Technique”, in IEEE Trans. on Power Delivery, April 2010, pp. 610-620. D.C. Patel, and M.C. Chandorkar, “Transient Modeling and Analysis of Induction Motors with Position Effects in Stator Turn Faults”, conf. rec., IEEE Conference on Industrial Technology (ICIT), 14-17 March 2010, Valparaiso, Chile, pp. 1251-1256. Veenu Dixit, M.B. Patil and M.C. 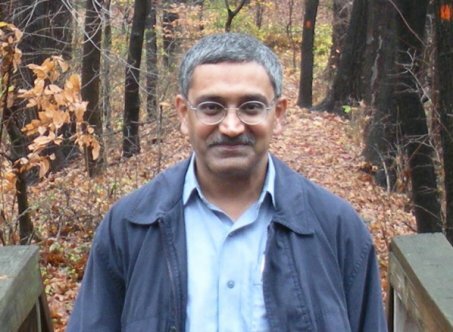 Chandorkar, “Real-time Simulation of Power Electronic Systems on Multi-core Processors”, conf. rec., IEEE International Conf. on Power Electronics and Drive Systems, 2-5 November 2009, Taiwan, pp. 1524-1529. S.N. Bagul, R.R. Sawant and M.C. Chandorkar, " Power Electronic Control System Development Environment on a Multi-core Platform", conf. rec., IEEE International Conf. on Power Electronics and Drive Systems, 2-5 November 2009, Taiwan, pp. 1080-1085. Y.S. Rao and M.C. Chandorkar, “Rapid Prototyping Tool for Electrical Load Emulation using Power Electronic Converters”, conf. rec., IEEE Symposium on Industrial Electronics and Applications, 4-6 October 2009, Kuala Lumpur, Malaysia, pp. 106-111. S. Dambhare, S.A. Soman and M.C. Chandorkar, "Adaptive Current Differential Protection Schemes for Transmission Line Protection", in IEEE Trans. on Power Delivery, October 2009, pp. 1832-1841. Y.S. Rao and M.C. Chandorkar, “Electrical Load Emulation using Optimal Feedback Control Technique”, conf. rec. IEEE International Conference on Industrial Technology, 10-13 February 2009, Gippsland, Australia. R. R. Sawant and M. C. Chandorkar, "A Multi-functional Four-leg Grid Connected Compensator", in IEEE Trans. on Industry Applications, January/February 2009, pp. 249-259. R. R. Sawant and M. C. Chandorkar, "Methods for multi-functional converter control in three-phase four-wire systems", in IET Power Electronics, January 2009, pp. 52-66. Y.S. Rao and M. C. Chandorkar, "Electrical Load Emulation using Power electronic Converters", conf. rec., IEEE Region 10 Conference, TENCON, 19-21 Nov. 2008. R. R. Sawant and M. C. Chandorkar, "Power boundaries in multifunctional converter control for three-phase four-wire systems", conf. rec., IEEE Region 10 Conference, TENCON, 19-21 Nov. 2008. D.C. Patel, R.R. Sawant, M.C. Chandorkar, "Control of Four-leg Sinewave Output Inverter using Flux Vector Modulation", conf. rec., IEEE Industrial Electronics Society Annual Conference, IECON, 10-13 November 2008, Orlando, USA, pp. 629-634. R. R. Sawant and M. C. Chandorkar, "A Multi-functional Grid Connected Compensator", Proc. of the IEEE-IEEJ Power Conversion Conference (PCC), Nagoya, Japan, April 2007, pp. 1085-1092. R. R. Sawant and M. C. Chandorkar, "A Multi-functional Power Electronic Compensator using Instantaneous p-q-r Theory", 2nd National Power Electronic Conference, Indian Institute of Technology, Kharagpur, December 22-24, 2005. R. R. Sawant and M. C. Chandorkar, "A Comparison o Instantaneous Power Compensation Theories for generalized Power Quality Improvements", Proc. of 12th National Power Systems Conference, Indian Institute of Technology Madras Chennai, December 27-30, 2004, pp. 212-221. Zhang, H., M. Chandorkar, G. Venkataramanan "Development of Static Switchgear for Utility Interconnection in a Microgrid," Power and Energy Systems PES 2003, Palm Springs, CA, Feb.24-26, 2003, pp. 235-240. M.B. Patil, M.C. Chandorkar, B.G. Fernandes, K. Chatterjee, "Computation of Steady-State Response in Power Electronic Circuits", IETE Journal of Research, vol.8, No.6, Nov/Dec 2002, pp. 471-477. M.B. Patil, S.P. Das, A. Joshi, M.C. Chandorkar, "A New Public Domain Simulator for Power Electronic Circuits", IEEE Trans. on Education, February 2002, pp. 79-85. M.C. Chandorkar, "New Techniques for Inverter Flux Control", IEEE Trans. on Industry Applications, May/June 2001, pp. 880-887. "Uninterruptible Power Supplies" Written for the Wiley Encyclopedia of Electrical and Electronics Engineering, published 2001, John Wiley & Sons, New York, USA. M.C. Chandorkar, D.M. Divan, "Decentralized Operation of Distributed UPS Systems", IEEE Conference on Power Electronics, Drives and Energy Systems for Industrial Growth (PEDES), January 1996, New Delhi, India. B.K. Johnson, R.H. Lasseter, F.L. Alvarado, D.M. Divan, H. Singh, M.C. Chandorkar, R. Adapa, "Superconducting Low Voltage DC Transmission Networks", Journal of Electric Machines and Power Systems, November/December 1994, pp. 629-645. B.K. Johnson, R.H. Lasseter, F.L. Alvarado, D.M. Divan, H. Singh, M.C. Chandorkar, R. Adapa, "High Temperature Superconducting DC Networks", IEEE Trans. on Applied Superconductivity, September 1994, pp. 115-120. M.C. Chandorkar, D.M. Divan, B. Banerjee, "Control of Distributed UPS Systems", IEEE Power Electronics Specialists Conference (PESC), June 1994, Taiwan, ROC, conf. rec. pp. 197-204. M.C. Chandorkar, D.M. Divan, Y. Hu, B. Banerjee, "Novel Architectures for Distributed Uninterruptible Power Supply Systems", Applied Power Electronics Conference (APEC), February 1994, Orlando, FL, USA, conf. rec. pp. 683-689. M.C. Chandorkar, D.M. Divan, R.H. Lasseter, "Control Techniques for Multiple Current Source GTO Converters", IEEE Trans. on Industry Applications, January/February 1994, pp. 134-140. M.C. Chandorkar, D.M. Divan, R. Adapa, "Control of Parallel Connected Inverters in Stand Alone AC Supply Systems", IEEE Trans. on Industry Applications, January/February 1993, pp. 136-143. D.M. Divan, M.C. Chandorkar, "Method and Apparatus for De-Centralized Signal Frequency Restoration in a Distributed UPS System", United States Patent No. 5,596,492, awarded on January 21, 1997. Assignee: Electric Power Research Institute, Inc., Palo Alto, California, USA. M.C. Chandorkar, "Method for open-loop and closed-loop control of an electrical drive as well as an apparatus for carrying out the method", United States Patent Number 6,166,928, awarded on December 6, 2000. Asignee: DaimlerChrysler AG, Stuttgart, Germany. Development of a combined off-line and real-time simulator for power system and power electronics simulation. Project sponsored by the Ministry of Communications and Information Technology through CDAC-Thiruvananthapuram under the NaMPET initiative. "Simulation of Power Electronic Circuits", October 2005, conducted under the National Mission for Power Electronics Technologies ( NaMPET). "Power Electronics and Power Quality", March 2004, for Crompton Greaves Limited under the IIT Bombay Continuing Education Programme. "DSP Hardware and Software in Power Electronics", May 2003, course for college teachers under the Quality Improvement Programme. "Digital Signal Processor Software for Power Electronics Applications", April 2002, open course under the IIT Bombay Continuing Education Programme. "Digital Signal Processor Hardware Circuit Design" September 2001, open course under the IIT Bombay Continuing Education Programme. "DSP in Power Electronics", March 2001, for Tata Liebert Limited under the IIT Bombay Continuing Education Programme.